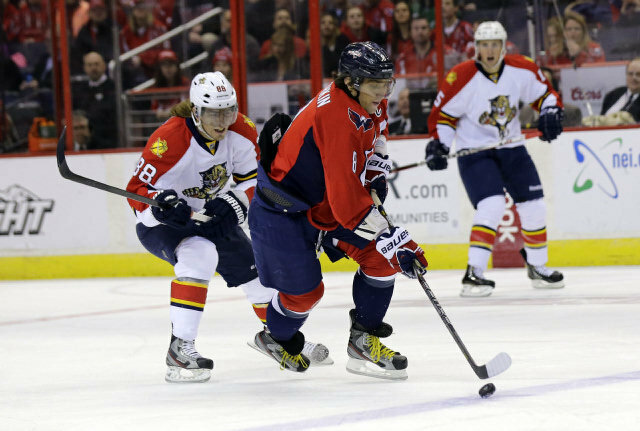 Ovi leads the Capitals to victory over the Panthers. Mike Milbury, NBC’s hockey analyst, has been one of superstar Alexander Ovechkin’s toughest critics since the Russian entered the National Hockey League. And I’m almost positive that he was inspired by the 1977 film, Slapshot. If you haven’t seen this cult-classic, grab yourself a sixer of Molson and enjoy. Milbury eventually found himself managing the New York Islanders in the late ’90s. During his brief stint as the GM, he traded away Zdeno Chara, Roberto Luongo, Todd Bertuzzi, Ziggy Palffy, and Olli Jokinen, as well as numerous other players who went on to have long NHL careers. In addition to trading away that loaded pool of talent, he also signed Rick DiPietro and Alexei Yashin to 2 of the worst contracts in hockey history. To this day, Islanders’ fans still blame Milbury for robbing them of their superstar prospects and financially crippling the franchise. Somehow (maybe he called Matt Millen for advice? ), Milbury wound up as the “hockey expert” at NBC Sports. Now, it seems like his favorite thing to do is compete with Don Cherry, his former coach, for the title of the most embarrassing TV personality in hockey. Just last Wednesday, after Ovechkin had a particularly weak performance, Milbury went after the Russian with petty insults and a brutal attack upon his character. I’ll admit that Ovi underperformed. Hockey is a brutal, emotional sport. Milbury should know from experience that it is nearly impossible to be on your game every night of year. Much like Ovi’s play, Milbury’s rant was inexcusable. Last night, Ovi also responded on the ice, picking up a goal and 2 assists as the Washington Capitals routed the Florida Panthers 7-1. With the Caps sitting at 12th place in the East, Ovechkin must continue to elevate his play if they have any hope of making the playoffs. This weekend will be a big test for the team. After a game against the Islanders on Saturday, the Capitals and New York Rangers play in NBC’s game of the week on Sunday at 12:30. I think for the first time ever, I am eagerly waiting to hear what Mike Milbury has to say.